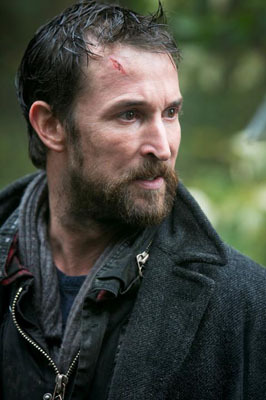 The product of an interfaith marriage—Episcopalian on his mother’s side and Jewish on his father’s—Falling Skies and longtime ER star Noah Wyle enjoyed growing up with two traditions. “It was a line I straddled. I always thought that a kid’s reality is their definition of normal so it was normal for me,” says the 42-year-old Hollywood native, the middle of three kids who grew up celebrating both religions’ holidays. Wyle, who has two children, son Owen, 10, and daughter Auden, 7, and is separated from their mother, is continuing the tradition of raising them with both faiths. “They go to a Jewish Sunday school but their attendance is spotty,” he admits.